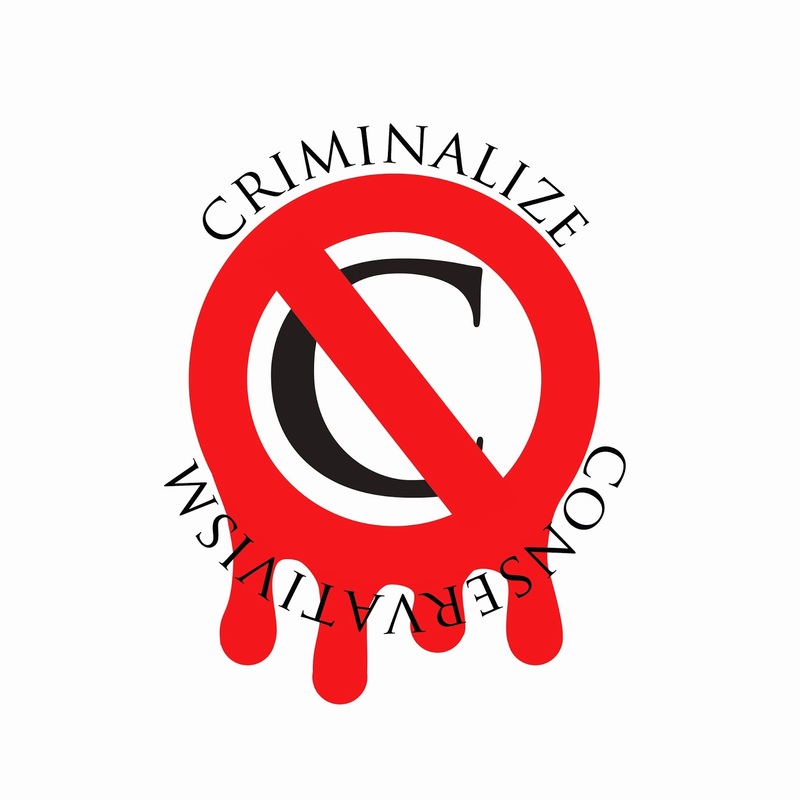 Criminalize Conservatism: The GOP: On Its Way Out Like The Whigs In The 1830s In America? The GOP: On Its Way Out Like The Whigs In The 1830s In America? "The Tea Party: 'No More Popular Than The Klan' is a reprint of an interview of Congressman Alan Grayson by Reverend Al Sharpton on MSNBC. It was sent via email from "Team Grayson" at alangrayson@GraysonForCongress.com to this poster. We've been covering the GOP Civil War, otherwise known as the Republican Gang War, starting with our post earlier this year, "Conservatives: Out of Touch, Too Extreme," but Congressman Grayson's email is the first suggestion we've found that the GOP is no more. "Rev. Al Sharpton: So is it going to be easy for the Tea Party to bounce back from this defeat? I'm going to channel the President here: "No. "Joining me now is Congressman Alan Grayson, Democrat of Florida. Thank you for being here. 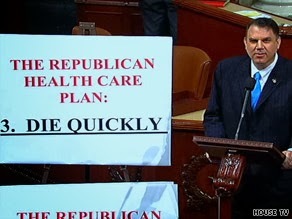 "Congressman Alan Grayson: Thank you. "Rev. Al: Congressman, does the President have the Tea Party on the ropes? "Alan: I think so. I think that ordinary Americans are with the President. They're appalled by the Tea Party's tactics. They come to the President saying, 'If you don't let us steal your car, then, we are going to burn down your house.' They are appalled by the way the Tea Party cheered on the shutting down of the government, cheered at the fact that we put our credit at risk for a generation to come. And they're appalled by the enormous expense - the fact that this temporary shutdown ended up costing America $24 billion. That's almost $100 for every man, woman, and child in this country. Frankly, they want their money back, and the Tea Party out of their lives. 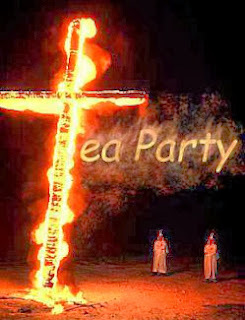 At this point, the Tea Party is no more popular than the Klan. "Rev. Al: Now, Congressman, some on the right are already threatening those who didn't push the defund movement all the way to the end. Sarah Palin wrote on Facebook, and I'm quoting it, 'Rest well tonight for soon we will focus on important House and Senate races. Let's start with Kentucky.' From sea to shining sea. Congressman, what will happen if the right, not just the Tea Party, all [have] primary fights all over the country? "Alan: I think it's already clear to people that the Republican Party is on its way out. 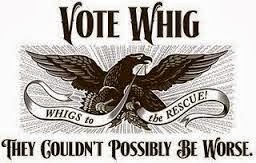 The Republican Party is going to go the way of the Whig Party, the way the Whig Party disappeared in the 1830s in America. (Our highlight - Joyce, Jnr.) And the reason is simple. They simply won't do anything useful for ordinary people.Whether the issue is jobs or housing or health care or transportation, whatever the issue might be, they got nothing. And it's not our fault that they've got nothing. They simply want to bring about the End of Days, as quickly as possible. That is the ultimate Tea Party Republican desire, to bring about the End of Days. 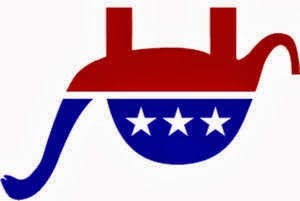 The Republican Party has become the largest suicide pact in history. And I hope they don't take us with them. "Rev. Al: Now, you say they got nothing. The President says the fever is broken. Has the fever been broken? "Alan: No. Not yet. The fever will be broken when we vote them out of office, and take back the House [of Representatives] next November. But in the meantime, we have to protect ourselves. And we have to protect ourselves specifically from their destruction -- that desire for destruction that keeps welling up over and over again. Now, I've introduced the simple two-page bill, H.R. 2313, called the 'Fiscal Sanity Act.' It funds the government for the rest of the year. It raises the debt ceiling until the end of next year until after the elections, when we can safely deal with these problems. And I'm hoping that people will flock to it. 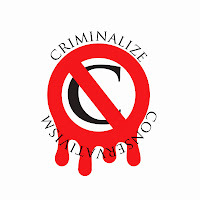 We've had almost 20,000 people come to our website EndTheLunacy.com, because they want to end the lunacy. They feel the same way the President does. They're tired of this. They want their needs met. They want Congress to listen to them, and not get sucked into these artificial crises that drag us lower and lower, to the very bottom. "Rev. Al: Rush Limbaugh says the problem is there weren't enough Ted Cruzes. Listen to this. "Rush: Can you imagine in this last fight if we would have had five or ten Ted Cruzes? Can you imagine the different dynamic? Can you imagine: If we had five or ten Ted Cruzes, we'd win a lot of debates. If we had 45 Ted Cruzes in the Senate, we'd come close to winning every vote. "Rev. Al: Clearly the Right Wing talkers aren't giving up. But the poll numbers for the GOP are in the tank. Will the leadership of the GOP keep listening to these talkers? "Alan: Listen, Boehner has to go. Boehner dragged this country (with its Tea Party allies) through the mud for two and a half weeks, completely unnecessarily. There was no purpose to this whatsoever. The bill we voted on late last [week] was the same bill we could have voted on two weeks ago, two months ago, two years ago. And the fact is that John Boehner has become a short order cook for the far Right Wing. "Would you like some French fries or cheese with that?" That's what he does. He takes whatever they want, and he lays it out there as if that's the right thing to do. And another thing about him -- for nine times before this week, before this month, he stepped back from the abyss and let Democrats do the responsible thing, which is to keep the government running and to pass bills that needed to be [passed]. And this time he did not. And in doing so, he became useless. At this point, Dr. Jekyll has become Mr. Hyde. He has to go -- everyone who is willing to cater to the Tea Party has to go, so Americans finally get the government that they deserve. "Rev. Al: Congressman Alan Grayson, thank you for your time. "Ask yourself this: who else in American public life today is as honest and as blunt as this? Congressman Alan Grayson deserves your support, like no one else. He, and only he, is saying the things that you are thinking, and so much need to be said. To see the video, or to make a contribution - or both - click here." 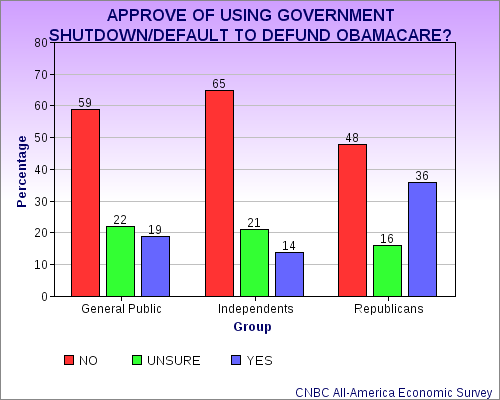 "That CNN poll that demonstrates that yes, Republicans really did shoot themselves in the foot with their government shutdown and debt ceiling brinksmanship, also demonstrated, again, that Obamcare isn't sounpopular these days. "According to the poll, just more than four in 10 say they favor the law, with 56% opposed to it. "But of those opposed, 38% say they are against the law because they think it's too liberal and 12% say it's not liberal enough. That means that 53% either support Obamacare, or say it's not liberal enough. "Huh, about the same percentage (54 percent) that say 'it's a bad thing that the GOP controls the House.' Seriously, Republicans, we're done with this fight. The majority wasn't with you on repeal: In March, 2011, in May, 2011 (and that's a Rasmussen poll! ), in July, 2012, in November, 2012 (as if the election weren't indication enough), and finally July of this year. 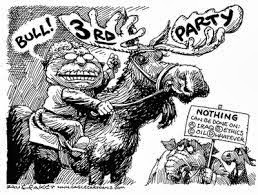 Political parties have disappeared in the past, and we'll look forward to the disappearance of the Republican Party too -- as long as Conservatism is made illegal at the same time. Without that, the fat cats and their authoritarian lackeys will just start a new one to advance their criminal interests. The acknowledgement that Conservatism is a vast criminal conspiracy is a start, but after centuries of rule, the will to criminalize Conservatism is another matter.